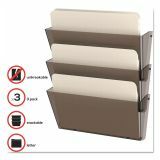 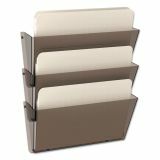 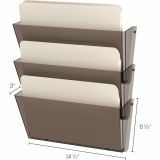 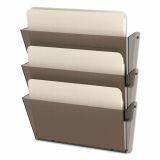 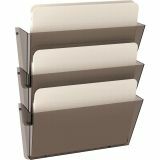 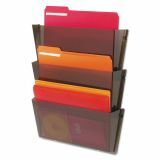 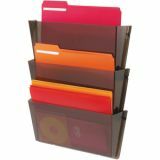 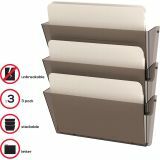 deflecto Unbreakable DocuPocket 3-Pocket Wall File, Letter, 14 1/2 x 3 x 6 1/2, Smoke - Unbreakable Three-Pocket Wall Set is great for organizing folders and keeping them accessible. 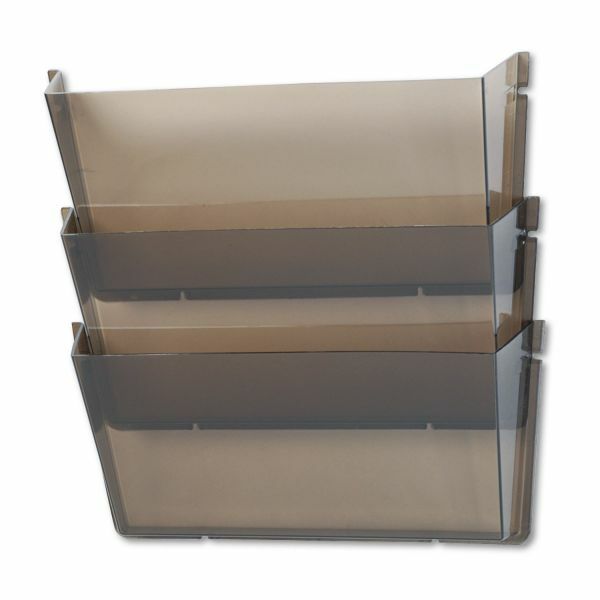 Mounts easily with included tape and screws. 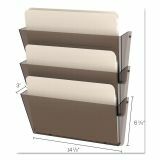 Three letter size pockets in one multi-pack Guaranteed not to break!